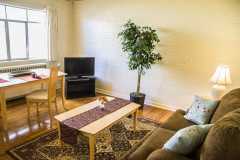 Rental Housing : Casa de Luz - Great Apartments in Downtown LA! 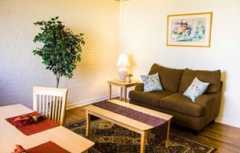 Casa de Luz is a complex of beautifully maintained and quiet efficiency apartments in the heart of the business district. SORRY, NO SUMMER Short term RENTALS. 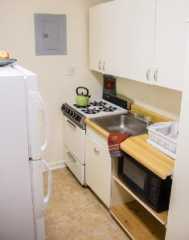 The units are bright and have lovely furnishings and hardwood floors. 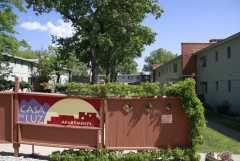 All rentals include utilities, Digital TV and internet, with laundry facilities and a park-like common area on-site. Cats are permitted in unfurnished apartments but unfortunately we cannot accept dogs. 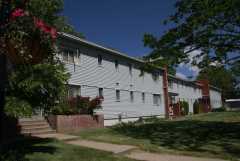 We recently added mini-split A/C and new windows.